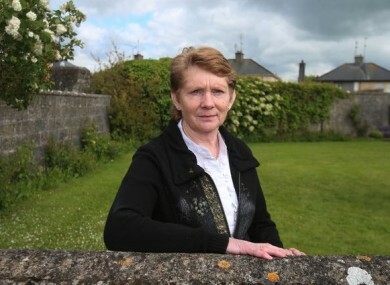 CATHERINE CORLESS HAS said she believes more remains of babies and children are likely to be buried under a playground near the former site of a mother and baby home in Tuam, Co Galway. Galway County Council (GCC) has said there is no record to indicate any human remains were discovered during the construction of a housing estate adjacent to the former Bon Secours home in the 1970s. In a statement to TheJournal.ie, the local authority also said there are no records of the discovery of human remains during the subsequent development of a playground at the site. The council added that all relevant records have been made available to the Commission of Investigation into Mother and Baby Homes. Speaking to TheJournal.ie today, Corless said the housing estate is “in the outlying area” but she believes remains are buried under the playground, based on maps she has examined. I really believe they have to be under that as well. There are bodies there, in coffins, from what I gather from the research I’ve done. Corless said it’s likely no remains were found during the construction of the playground as it wasn’t necessary to dig very deep, just level out the ground. On Friday, amateur historian Corless was vindicated by the Commission’s confirmation that a significant number of children’s bodies were found at the site in a structure which appears to be “related to the treatment/containment of sewerage and/or wastewater”. During her research, Corless got a map of the site dating from the late 19th or early 20th century – when the building had been used as a workhouse. By overlaying a map of the site as it looks today, she discovered that the place where bones were discovered by two boys playing in 1975 correlated exactly with where a sewage tank had been located during the building’s workhouse days. The tank had been put out of use in the 1930s when it stopped working. The scale of the issue would likely not have been uncovered were it not for Corless’s tireless research, which found that 796 children died at the home and were not given an official burial place. Her work led to the recent excavation of the site. An initial stratigraphic study was carried out at the Tuam site in October 2015 which identified an area of interest, which was then excavated between November 2016 and February 2017. Scientific analysis found the remains are of children who died aged between 35 foetal weeks and two to three years. It is understood there are currently no plans to carry out further excavations in the area. A spokesperson for GCC said, on foot of Friday’s announcement, “All households living in the immediate vicinity were engaged with on a one-to-one basis, where possible, and a leaflet drop in the extended area, covered approximately 120 homes. The council is conscious that time is required to allow families, the local community and all with a personal connection to the site, to deal with the understandable emotion associated with the confirmation of the discovery of human remains, by the Commission. “The council, recognising that there are varying views, is committed to facilitating an appropriate consultation process with the local community, about the future of the site. The timeline for the consultation process will, of necessity, be influenced by the continuing work of the Commission, the statutory role of the coroner and the potential for involvement by other authorities. Email “Catherine Corless says more human remains are likely to be buried under Tuam playground ”. Feedback on “Catherine Corless says more human remains are likely to be buried under Tuam playground ”.